ASI 2018 is over, but you can view presentation materials here! We know that mental health is more than mental illness – it is an essential resource for life which contributes to our health and well-being. We also know that living conditions and experiences during early childhood are key factors for mental health. Creating supportive environments and building resilience are essential, as over the long term our health and wellbeing impact the overall health, prosperity and sustainability of our communities. Working together to promote mental health will require collective thinking and cannot rest solely with government – it will require collaboration with civil society, philanthropic organizations and the business world. So let’s bring these groups together this summer – Let’s Act Together! Evidence tells us we need to start with an investment in children and youth. Much is happening globally that we can apply locally. The 2018 ASI program is being designed to build on evidence and expand networks. 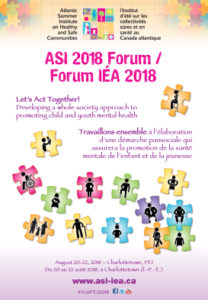 If you are between the ages of 18-100+, plan to bring a friend or colleague and join us in August when we will develop a whole society approach to promoting child and youth mental health in Atlantic Canada. 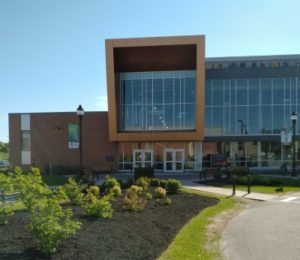 ASI 2018 will be held in the School of Sustainable Design Engineering at the University of Prince Edward Island (map).